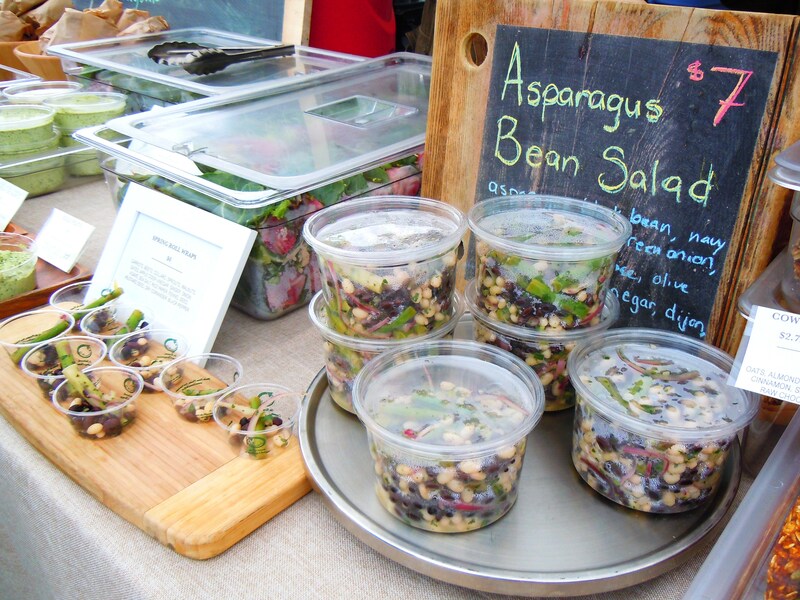 A Taste of Spring, A Taste of Summer – Farmers’ Market Season & Ate by Ate Are Back! Happy first day of June everyone! While the season of beaches, sand, and endless sunshine doesn’t officially start until June 21, I think it’s safe to say that June 1st is the unofficial kick-off to the summer season and all the amazing things to come in the coming months. We got over the May long weekend hump (which, ironically enough, is almost always chilly by our standards! 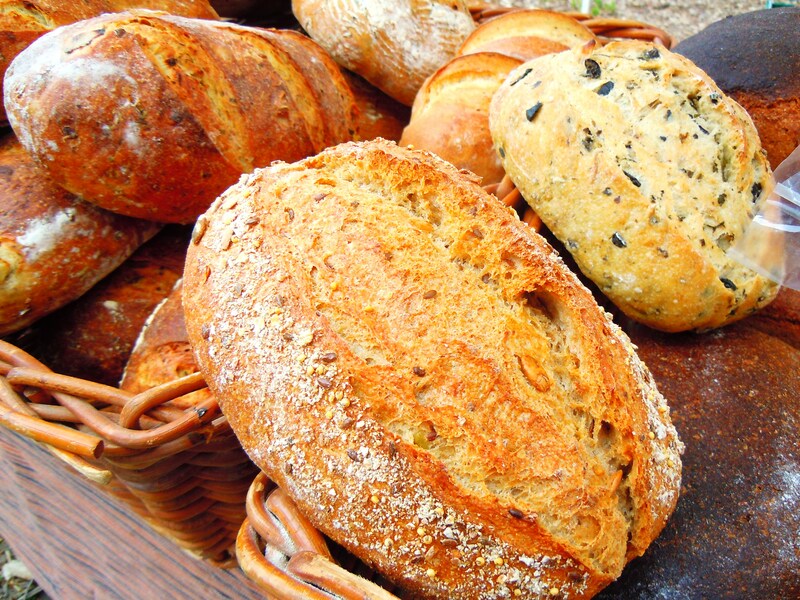 ), we’ve been peppered with a few days of muggy weather over the last week or so and now we’re fully immersed in the farmers’ market season! 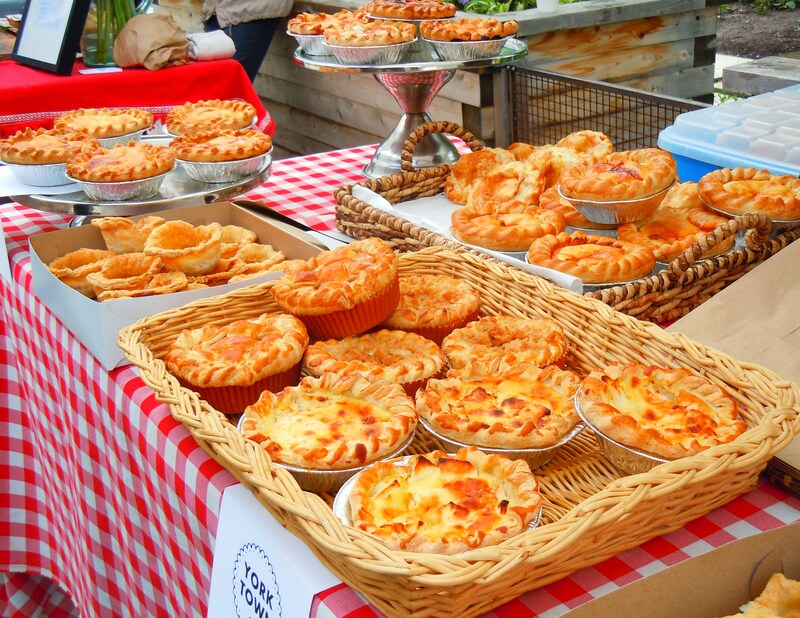 A number of markets have made their return in May (including Leslieville, Trinity Bellwoods, Fresh Wednesdays at Nathan Phillips Square, East York, Metro Hall at David Pecaut Square just to name a handful) and a long list of others will be joining the market family for the season in June. Given how I’ve been away for the last little while, I’m obviously behind on my market lists but rest assured, they’ll be up this week with updates and the like for markets in the Toronto and York Region area. I am so happy to be back and to put some things behind me. I needed that time to completely annex myself from the blogging community and from most of the online world with the exception of checking e-mail (unfortunately, there was no running away from that one). So far, 2014 has been…trying, to say the least. Looking for work, dealing with winter, and making some revelations about people in and outside of the blogging community has not been fun. At all. It’s one thing to know when folks are trying to take advantage of you and giving your best one-two punch in return to stand up for yourself, but it’s a whole other can of worms when it becomes blatantly obvious that many will stoop to the level of scum to get what they want and have no issue pulling the rug out from under you when you’re not expecting it. And let me be clear that while some of this applies to me, some of it does not. Some of it is seeing it happen to others. And it has sickened me. Stealing content and ideas. Taking credit where credit isn’t due. Not being up front and playing people as fools. Using someone to pimp them for information. All without shame. And as much as I hate to admit it when my mother is right, she was right. I’ve devoted 20 years of my life to a love of art and food; in spite of all that “garbage”, it didn’t make any sense to let any of this go. It was so important to remind myself why I love doing what I do and the things that make me happiest. Tune out the numbers game that folks try to play, tune out the one-upping, tune out the negativity and just be strong and focus on the pure love and passion for the craft. So while I haven’t blogged, I haven’t stopped photographing, I haven’t stopped exploring (well, except when it was unbearably cold), and I most certainly have not stopped eating! I started going to the markets again and actually went two weekends in a row at the crack of dawn recently (hopped on a bus at 6:30am!) and shopped and photographed my brains out. Simply because it made me happy. The market at Wychwood Barns moved outdoors earlier in May which made for some beautiful shots and I was able to pick up a ridiculous amount of fresh food: gorgeous baby kale, beautiful arugula (if my memory serves me right, I bought 4 bags), amazing local cheese, black bean vegan burgers and navy bean parsley pesto from Earth & City and so much more. Aside from cupcakeries, tea shops and afternoon tea, markets are truly my happy place because you can tell your story through photos alone. Cassandra from Earth & City really tugged at my heartstrings during one of those weekend visits when she introduced me to one of their newer hires: “Deb blogs and she was there with us during our first months years ago and we were so excited because, ahhh, press!” And there it was right there, why any of this is meaningful. Because not only can we quietly make a positive impact on others through what we do but along the way we make friends, meet good people that make us believe that the good has a shot at outweighing the bad, and we become special notes and memories in each others’ life stories. 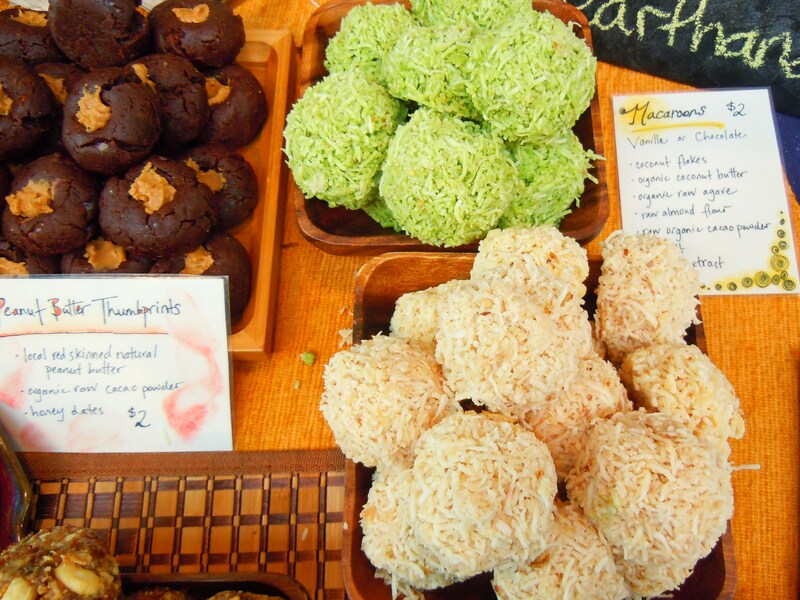 Sushi roll artwork, vegan coconut brownies sprinkled with edible flowers, sour cream apple pie, and homemade hummus – all in a day’s work at yet another blossoming Saturday morning farmers’ market at Wychwood Barns! Even though I go into many of these markets with a vague, general idea of the types of farmers’, producers, and food vendors that will be there, I can never be entirely prepared for what I see each time I go. 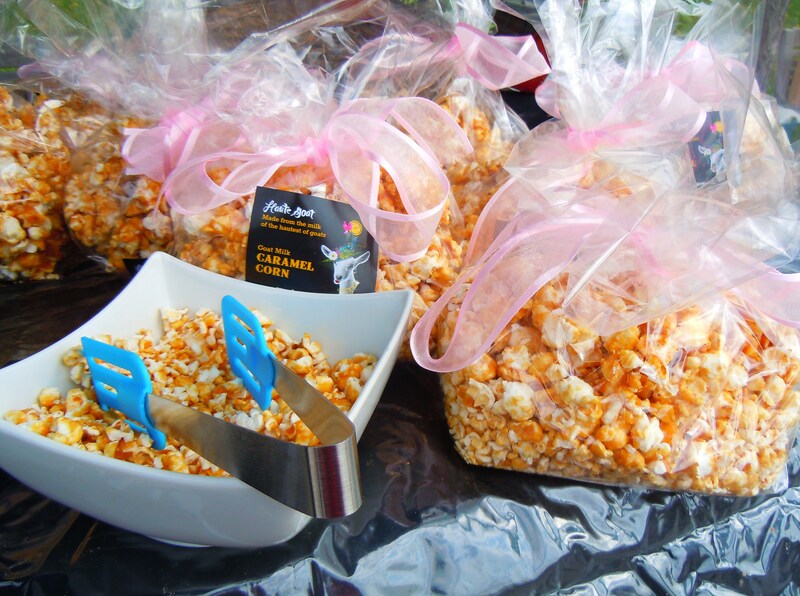 In addition to the changing seasons, vendors are always upping their game and wowing market visitors with new and different products, promotions, and samples, so no two markets are ever exactly alike. Last time, I thought discovering the Bread Song Collective was the most exciting thing that had happened during my adventures at Wychwood. Yesterday completely showed that visit up because I was treated to even more surprises! 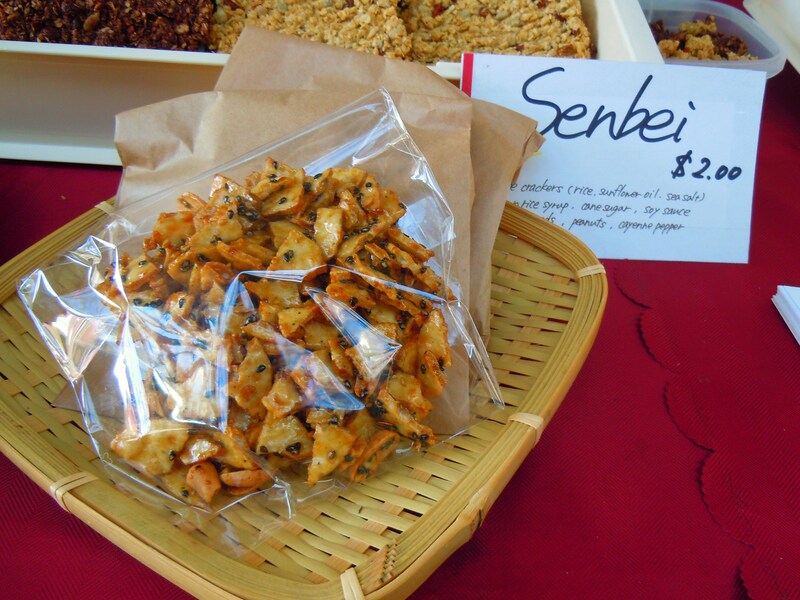 First up: vegetarian and vegan Japanese food and sushi artwork by CheFe’s Natural Kitchen! I was beside myself when I saw their table. Sushi?! At a farmer’s market?! I know I haven’t been to every single market in the city yet but oh my good gracious, this was the first time I had EVER seen sushi at a market and I was so excited like you would not believe. And to think that CheFe’s Natural Kitchen has been right under my nose this entire time – foreshame! 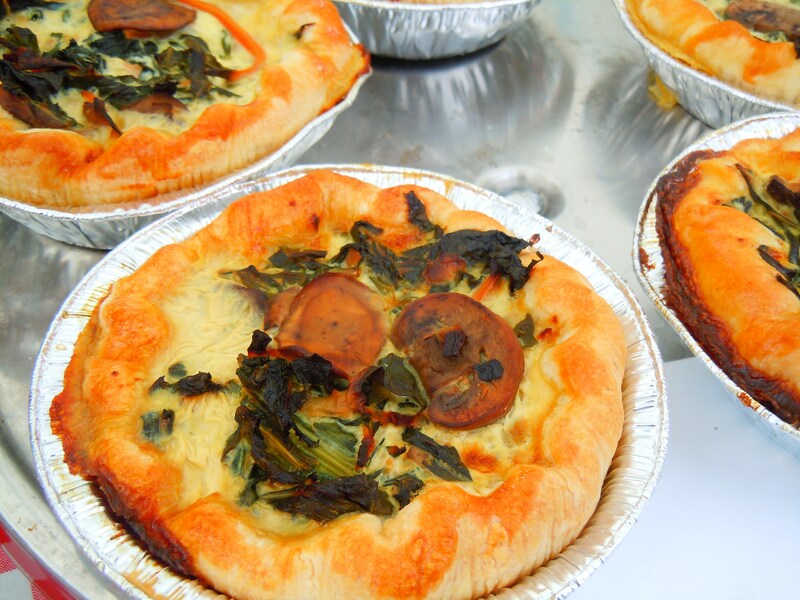 CheFe’s Natural Kitchen is a local food business here in Toronto that operates as a catering business and a vendor at The Stop’s market. 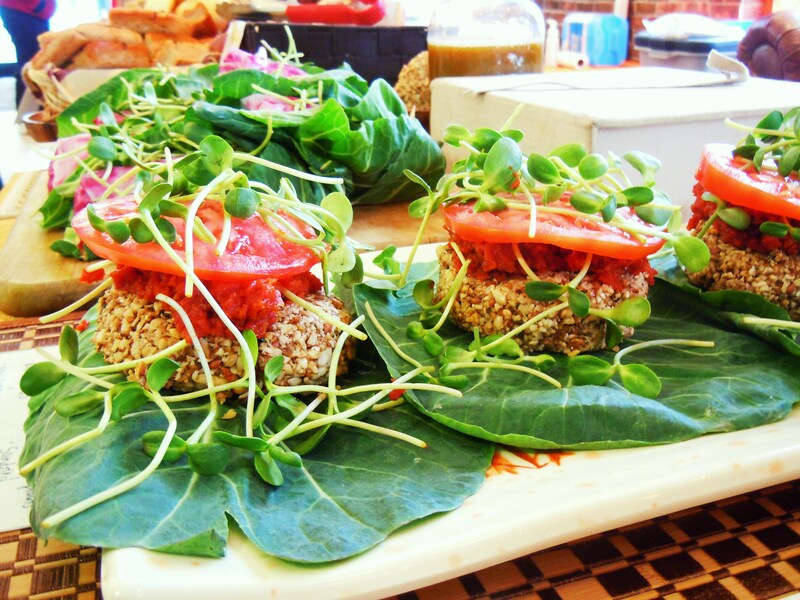 Their focus is on creating nutritious food in compliance with macrobiotic principles, vegetarian and vegan food in particular. In a nutshell, the TVA page on Macrobiotics and the Macrobiotic diet that CheFe’s site links to defines a macrobiotic diet as one that is devoid of additives, artificial flavours, chemicals, and animal products and devoted to whole, unprocessed foods in their natural state. 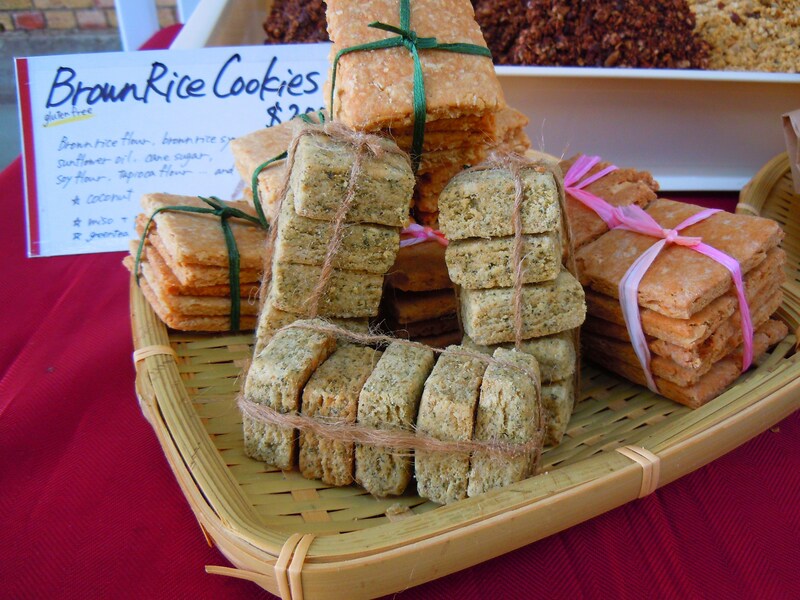 Their selection at the market includes onigiri, savoury crackers, brown rice cookies and sweet oat cookies, and homemade, healthy vegetarian and vegan sushi made with brown rice, flax seed, tofu, vegetables, Japanese herbs, black sesame seeds, and so much more. My mouth gaped open as my eyes darted back and forth across the table of goodies before me while my mind kept screaming ohmygodohmygodohmygod. 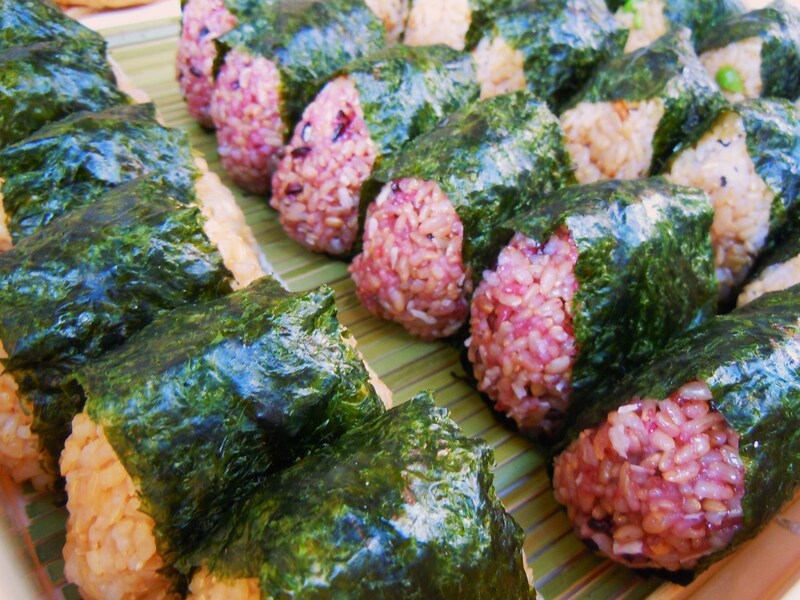 This is not your run-of-the-mill, bore-me-to-tears veggie sushi. Chihiro has, simply put, created sushi masterpieces. 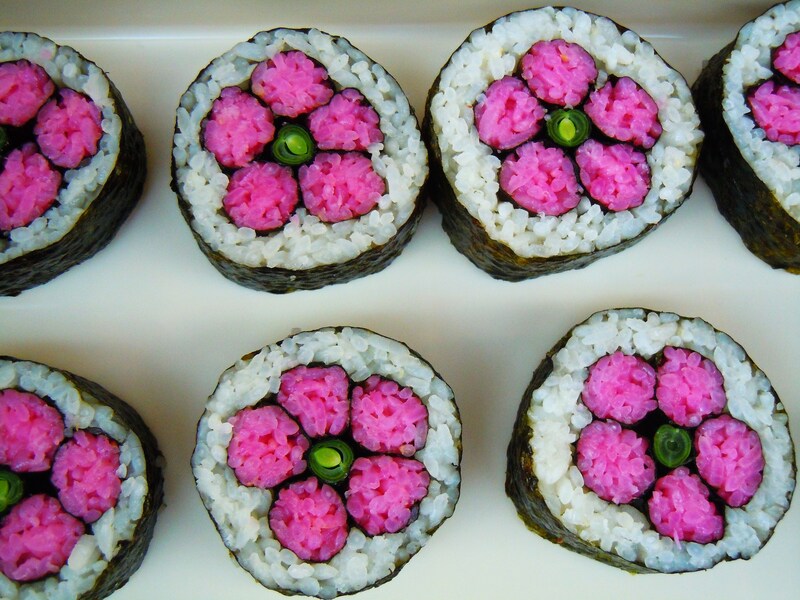 She makes beautiful and adorable maki: rolls with the middles made to look like pink flowers and – wait for this – ANIMAL sushi! 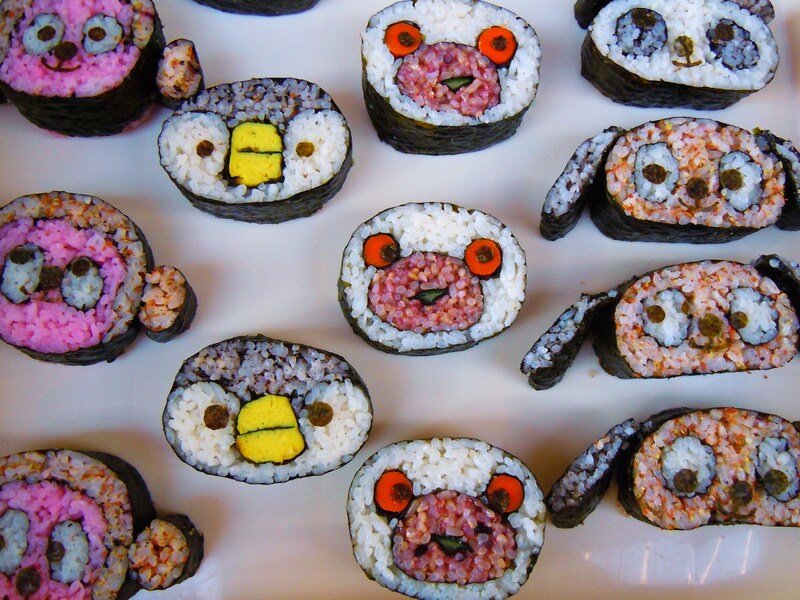 Think sushi bites that look like anime pandas and monkey and birdies. It totally reminds me of the art of the bento box and the relationship between food and art in Japanese cuisine, only in maki form. The prices are incredibly reasonsable considering how labour intensive it is to make these little works of art. 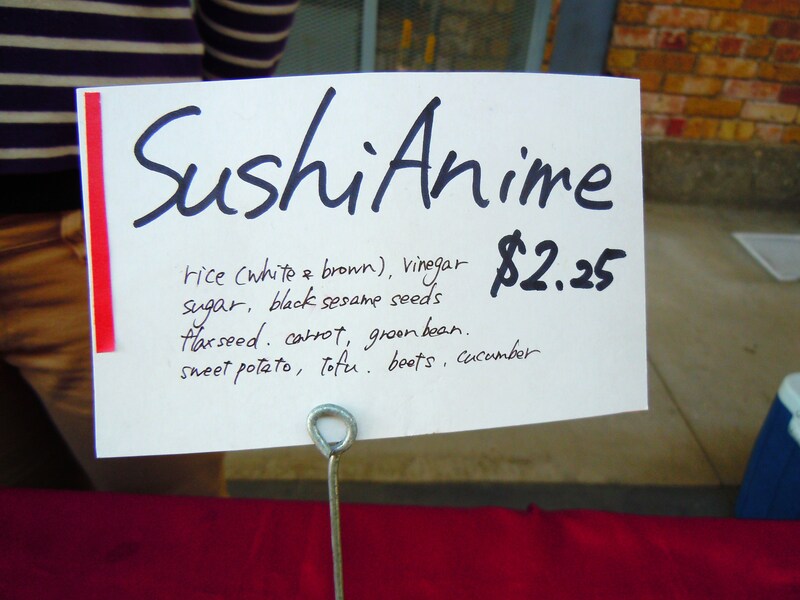 Prices range anywhere from $1.50 to $2.50 per item for most things, with the exception of their sushi/nori logs, which are around $4. There was no way I could leave without picking up a little something so I snatched up a giant pink flower maki roll ($2.25) and a brown rice and edamame onigiri ($1.50) and while I didn’t eat the pink flower maki myself (I saved it for my mum), she loved it and I LOVED my brown rice and edamame onigiri! So much so that there was a large part of me that wished I had bought every single one of them off the platter. I have no shame. It was SO delicious and for $1.50, beyond worth it. The brown rice was so soft and combined with the edamames studded throughout it, it tasted light, wholesome, and healthy because it wasn’t bogged down with seasoning. I am already penciling in a follow-up visit to the market two Saturdays from now, just so I can get my hands and teeth on more sushi! When I started writing this post, I thought for certain that I’d be writing about yesterday’s market in its entirety, but now I realize that there is no possible way of fitting everything else into this post because there is so much more I want and need to share with you all. The sushi discovery was just one of the wonderful things that happened yesterday and I’ll wrap up tomorrow with yummies from Earth & City, Highmark Farms, and The Yorktown Pie Company! 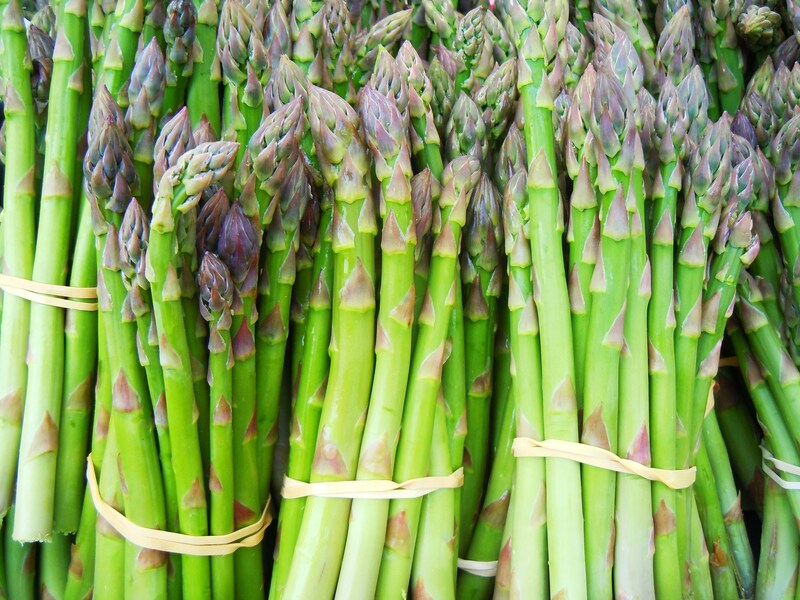 If yesterday’s farmers’ market was any indication of what the summer has in store, it’s going to be one incredibly amazing season from here on out. 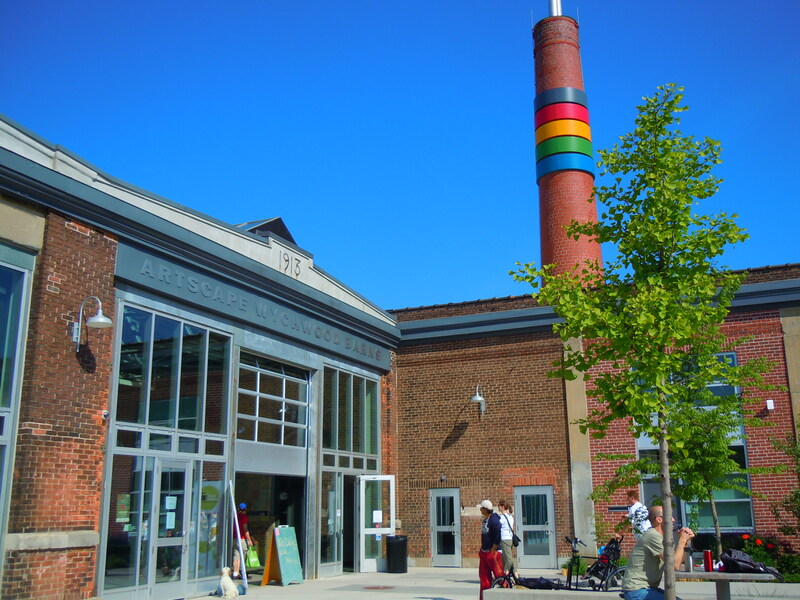 In just a few more weeks, the amazing market at Wychwood Barns will be heading outdoors during the May long weekend into what we all hope will be a happy summer market season for 2012. I wanted to make one more indoor market visit though, so I took advantage of the pretty weather and made a day out of it, complete with brunch, window shopping, and LOTS of walking! I walked from the Wychwood Barns neighbourhood on St. Clair West down to the Queen West and Trinity Bellwoods area, then proceeded to stroll along Ossington back up to Bloor and then to Dufferin. It felt invigorating while I was doing it but I realized just how tired I was from all the fancy footwork when I nearly fell asleep on my laptop after I came home. It was so worth it though! It never ceases to amaze me how I can make these trips to the farmers’ markets and come away just wanting everything. 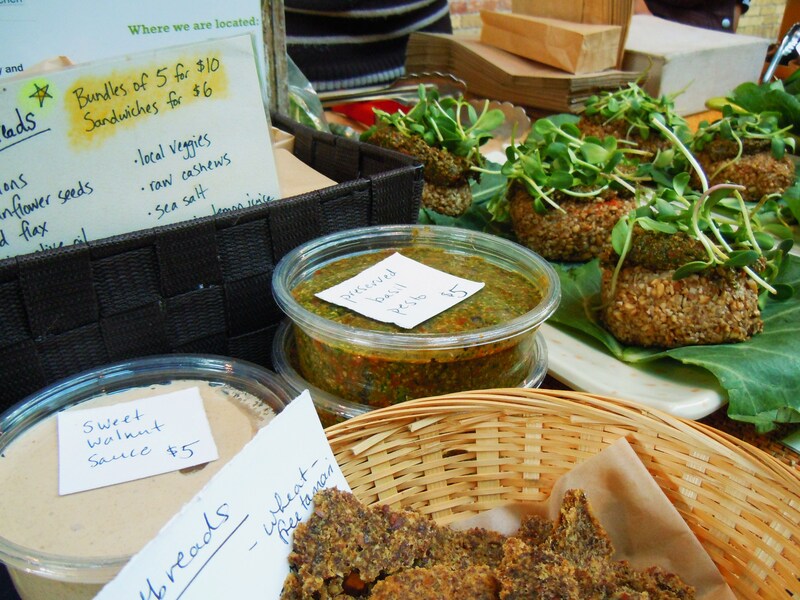 I was waffling on whether or not it was smarter to go this week or to wait for the first outdoor market later on this month, but my craving for Earth & City’s raw, vegan nut burgers with pesto pushed me out the door at the crack of dawn. So there you have it. 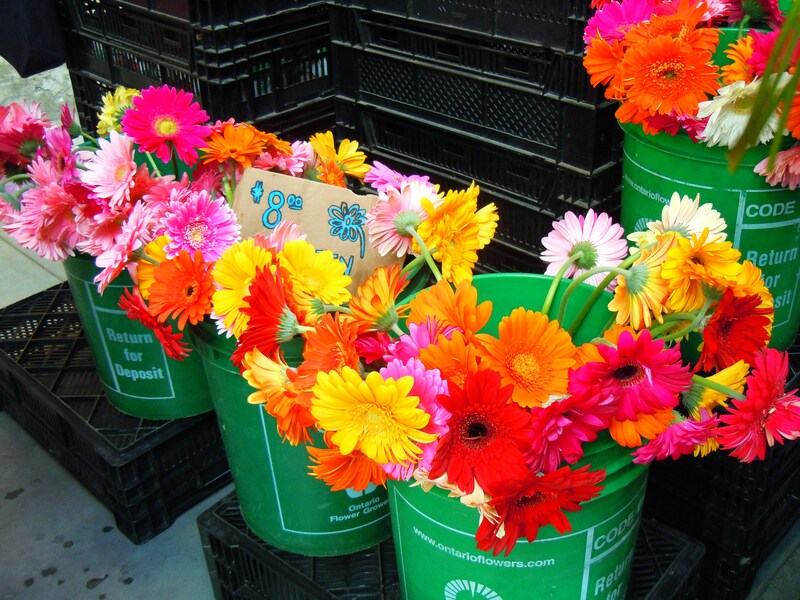 $8 for a dozen beautiful gerbera daisies! 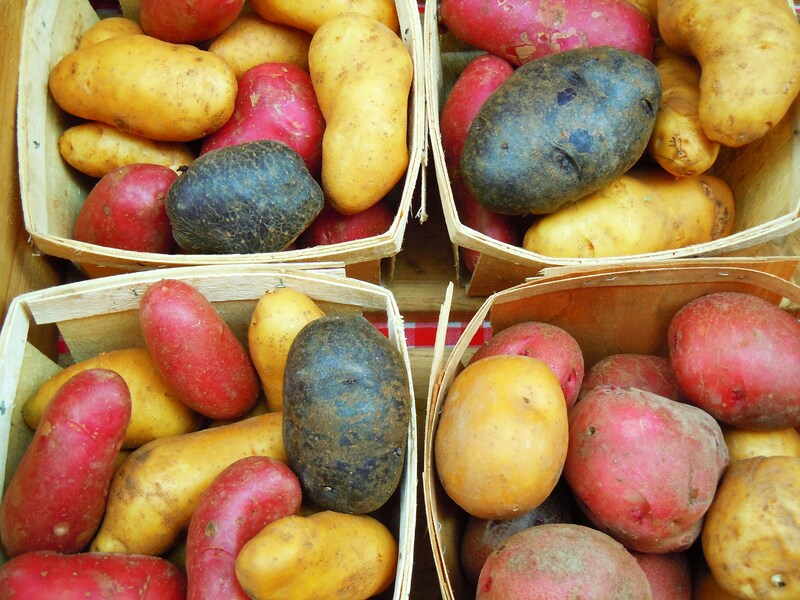 My beloved baby potatoes, especially the blue ones! 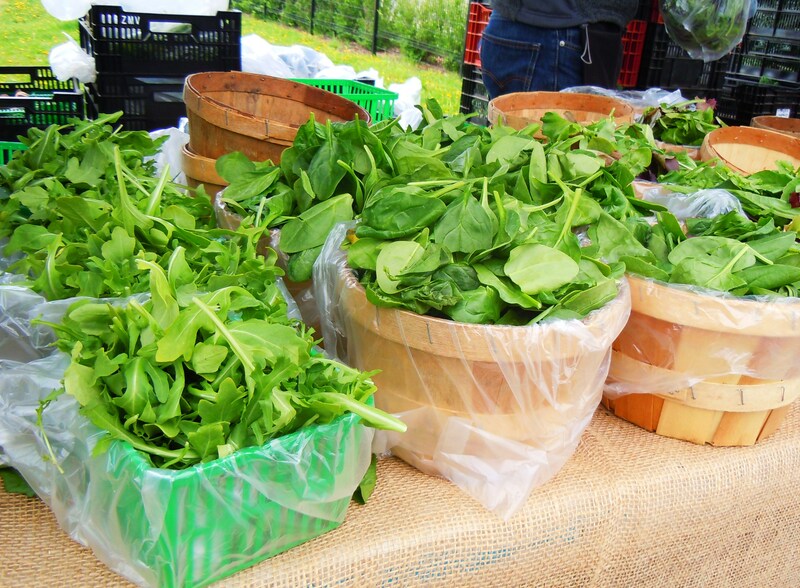 You might be inclined to think that going to these farmers’ markets means seeing and eating the same things over and over again (especially when you make multiple visits during the same season), but that couldn’t be further from the truth. 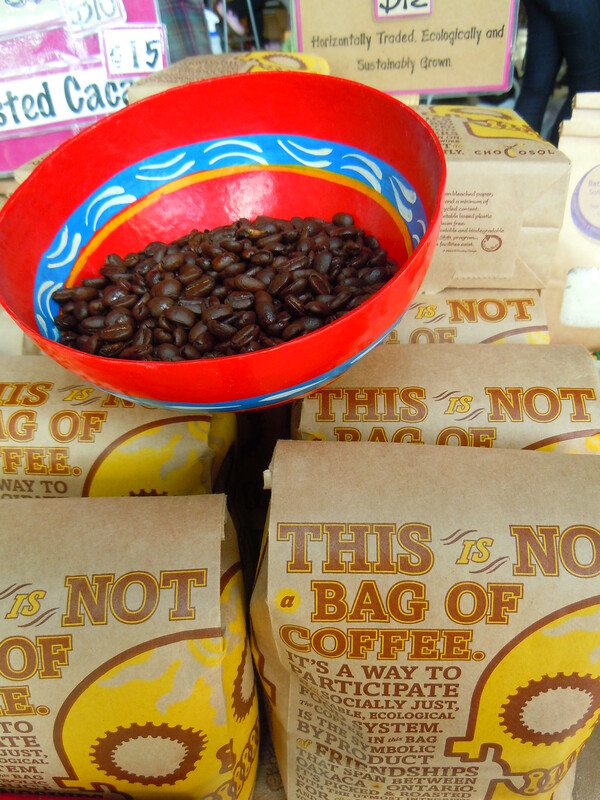 I was actually surprised at all the new things I saw at this week’s market. 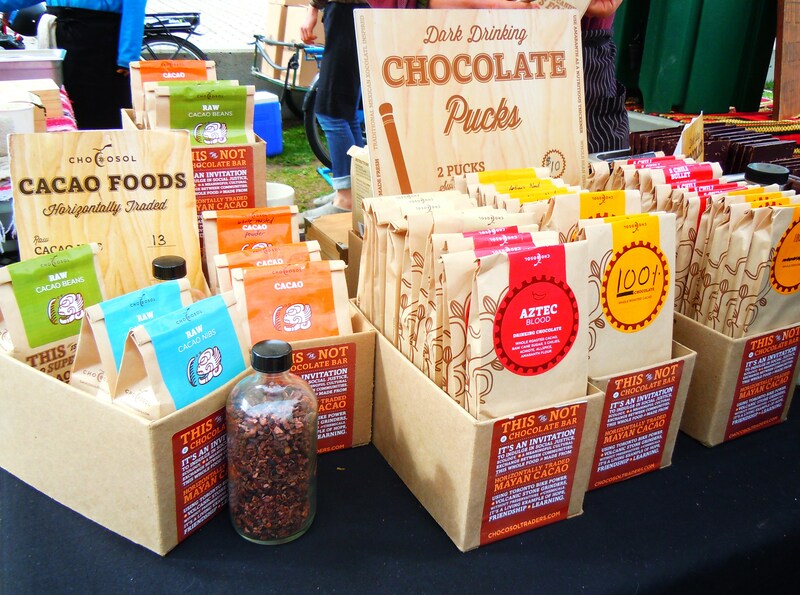 Sure, I saw ChocoSol, Earth & City, and Yorktown Pie Company there among other familiar vendors, but everything felt new and vibrant, like everyone was itching for the new season to take hold and couldn’t wait to dish out new and delicious items to try. The place was absolutely buzzing (it was actually very difficult to take photos this time because of the sheer volume of people grabbing things in front of me and don’t even get me started on the line-ups and crowding!) and people were picking up goodies and beautiful spring daisies and flowers left and right. 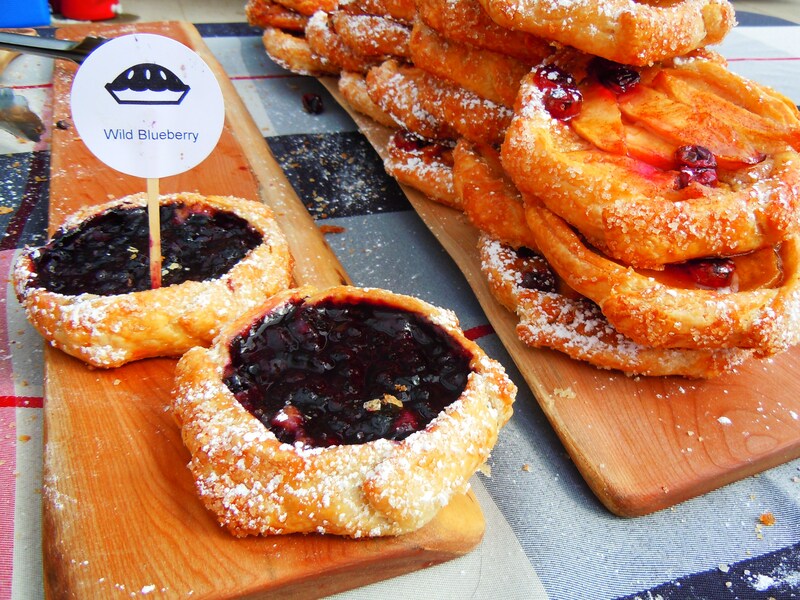 It’s a buzz that you’d only get at an early morning farmers’ market. Earth & City had containers of some brand new savoury dips and spreads (sweet walnut sauce and preserved basil pesto, $5 each), the Yorktown Pie Company had brand apple cheddar mini pies that looked amazing, Allis Fresh Baked busted out a basket of mac n’ cheese corn muffins (seriously, they need to stop tempting me with all these cheesy, savoury muffins! ), and Primeridge Pure Dairy had some of the most delicious soft cheese I have ever had melt in my mouth! If it wasn’t for the brand new package of cheese I had sitting in the fridge at home I would have been all around their cheese like mud on a pig. They had a BLACK PEPPERCORN SOFT CHEESE. I LOVE freshly cracked black pepper and peppercorns like nobody’s business. Ask anybody who has eaten in my company, I put the stuff on almost everything. The fresh cheese was creamy, melt-in-your-mouth, and hella peppery and spicy. And SO GOOD. I imagined this on a crusty wedge of French bread and baguette. I imagined this on a bit of pasta. Hell, I even imagined it on my raw, vegan nut burger but then I felt bad because that would have made it unvegan. But you get the idea. 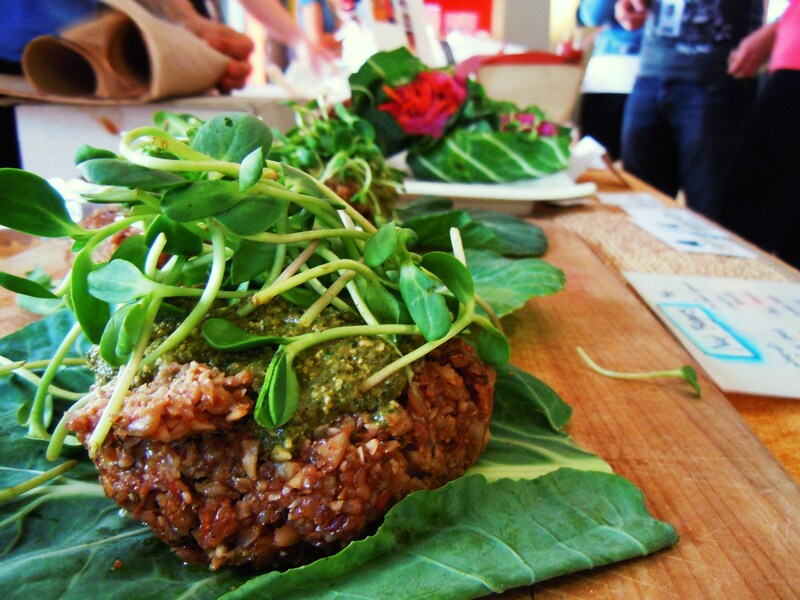 Nutty For Pesto, Sundried Tomato, & Burger Patties – A Photo Spotlight on Earth & City’s Raw, Vegan Nut Burgers! 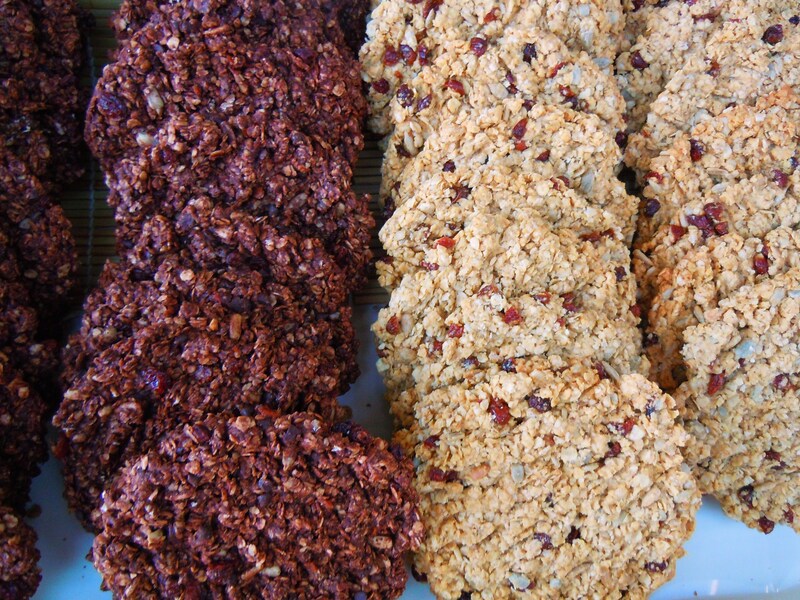 No matter how healthy many of us eat, everyone has their junk food weakness whether it’s sweet or savoury. Some feel weak in the knees in the face of pizza, some salivate at the mention of ice cream sundaes, and some will do anything to get their hands on a basket of fries. I’ll be honest with you guys: I have a weakness for good old fashioned grilled cheeseburgers. And turkey burgers. With cheese, relish, pickles, mushrooms, peppers, and garlic mayo. I don’t eat them often though. The word “rarely” comes to mind, actually. Twice a year, tops. For me, as much as I enjoy it, these type of cravings are just cravings and they come and go. 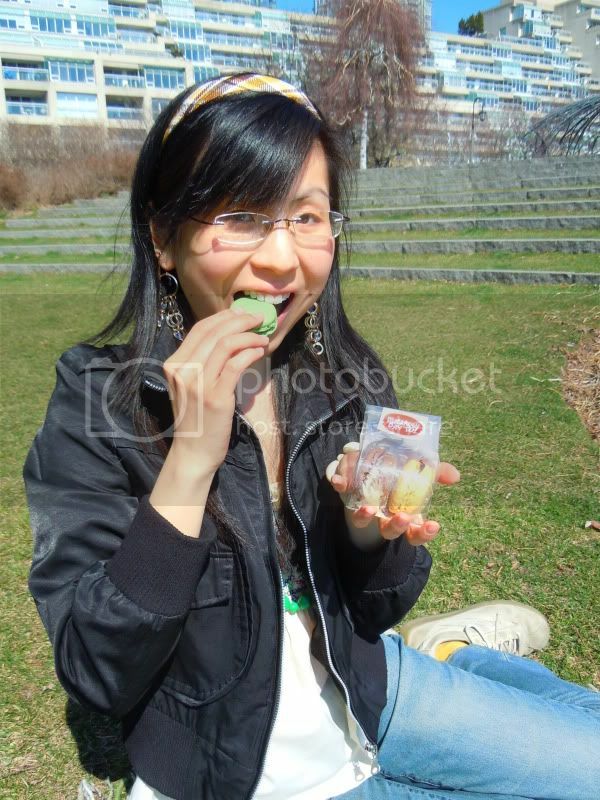 Aside from having a sweet tooth, I shy away from junk food as often as I can. The last time I had a soda was over 10 years ago in high school (and I can’t remember the time before that), I despise fried chicken with a passion, and I try my best not to put myself in a situation where I have to resort to choosing something to eat from a fast food chain. Like I said, I allow myself to have a cheeseburger type of day maybe twice a year but that’s about it. I even carefully think about how to schedule my dessert and sweets eating throughout the day and/or week – what you see on the blog isn’t in real time most of the time! This lack of burger eating on my part clearly explains why my Burger Book catgory has been 1) relatively devoid of burger bliss (if I may quote the latest A&W commercial), and 2) more focused on vegetarian and vegan burgers! 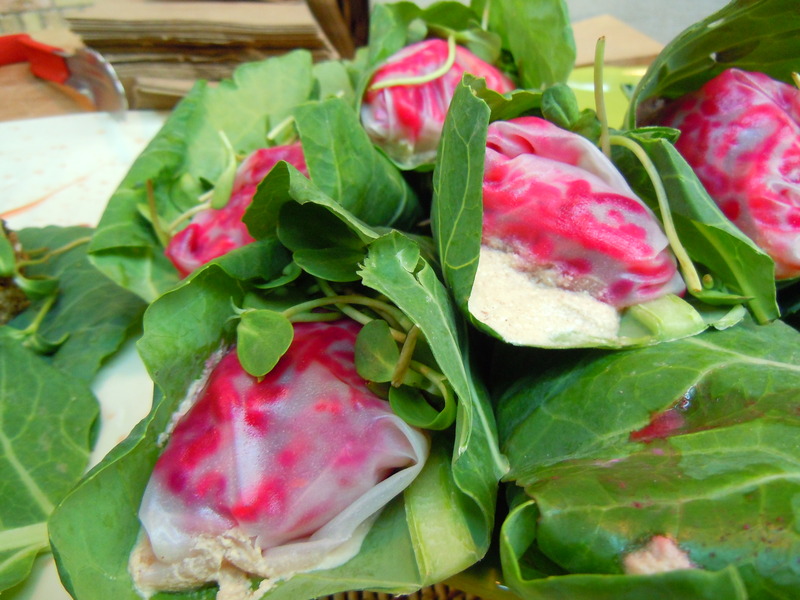 Looking for a delicious raw, vegan lunch? I am LOVING the versatility and deliciousness of vegetarian and vegan burgers in all its different forms: soy, grain, tofu, potato, you name it. The veggie burgers I’ve had in the last year have all been delicious and they’ve all been so different. There’s the juicy, breaded tofu burger from Kale and the potato-like mushroom onion burger from Fresh. Another veggie burger to add to the mix? 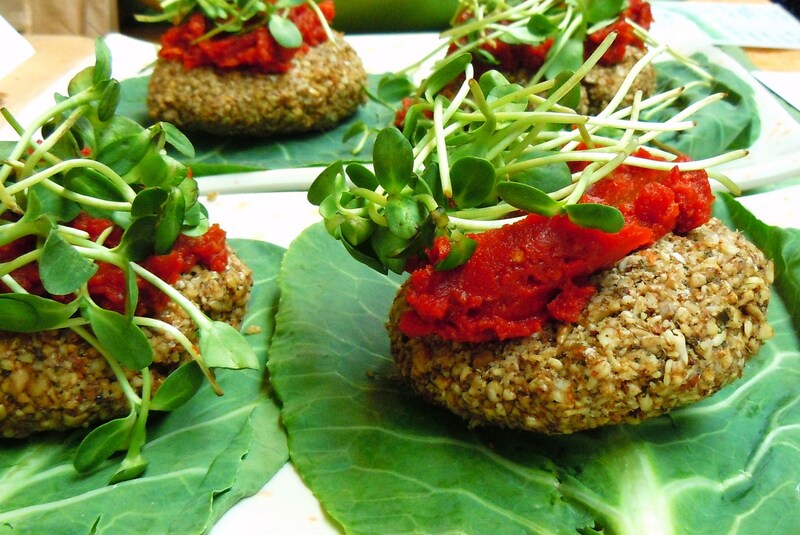 Earth & City’s raw, vegan nut burgers! 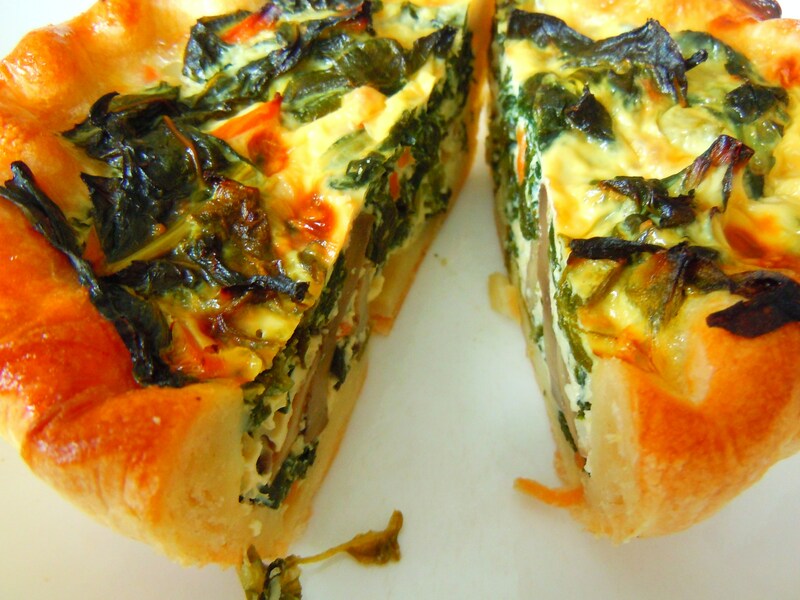 I approach Earth & City’s food the same way I approach the menu at Fresh: try everything! Or at the very least, something from every food category on the menu. So far I’ve had the pleasure of having Earth & City’s spring roll wraps, vegan pizza, nori rolls, macaroons, tarts, raw and vegan brownies, and even a raw peanut butter date square. I can now say with absolute conviction that their vegan nut burgers are my favourite of all favourites. I cannot get over how much I love them! 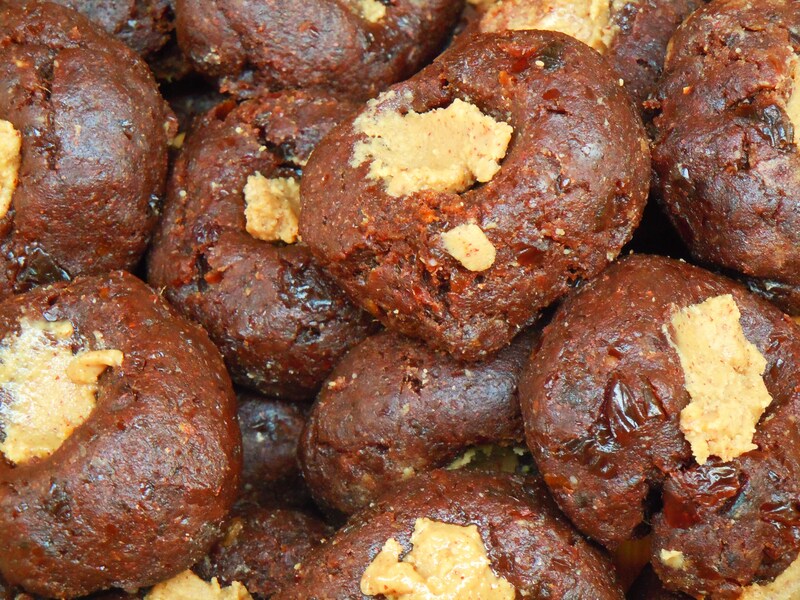 My favourite foods from Earth & City then are as follows (in no particular order): nut burgers, nori rolls, and brownies. Their nut burgers ($6, tax inclusive) are amazing and to me, they’re more delicious than any meat burger could ever be! 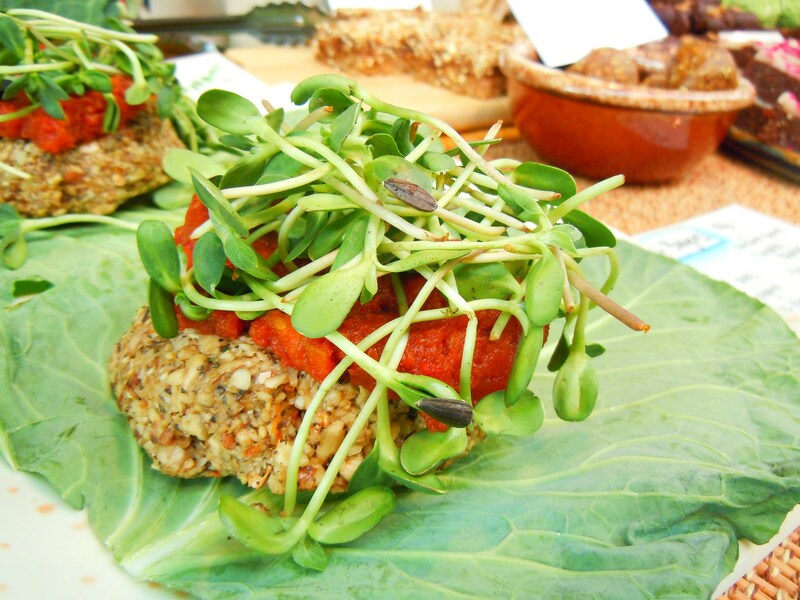 The vegan nut burgers are giant round patties made of raw, almonds, sunflower seeds, honey dates, and flax seed that have been pulsed and pulverized, mixed with dried basil and oregano, organic olive oil and lemon juice, white balsamic vinegar and sea salt, and topped with either a sundried tomato or creamy pesto sauce, and sunflower sprouts with slices of local organic tomatoes at times. The heavenly burgers sit on a giant collard green leaf “lily pad bun” and are then munched on and inhaled by people like me. I had one of their pesto nut burgers at a Lunchtime Office Market at the ING Direct Cafe and I could not stop thinking about it for days, even weeks, afterward. 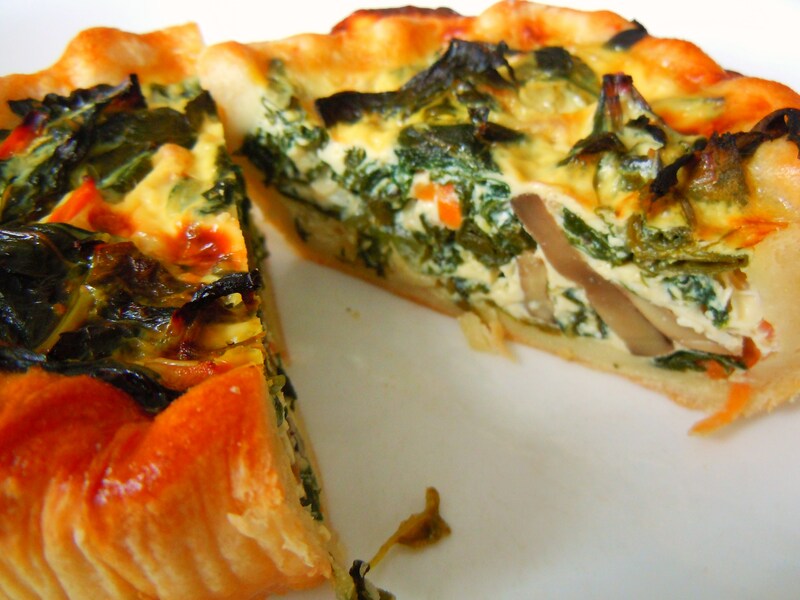 I was most surprised by the texture – it was simaltaneously smooth and slightly crunchy! 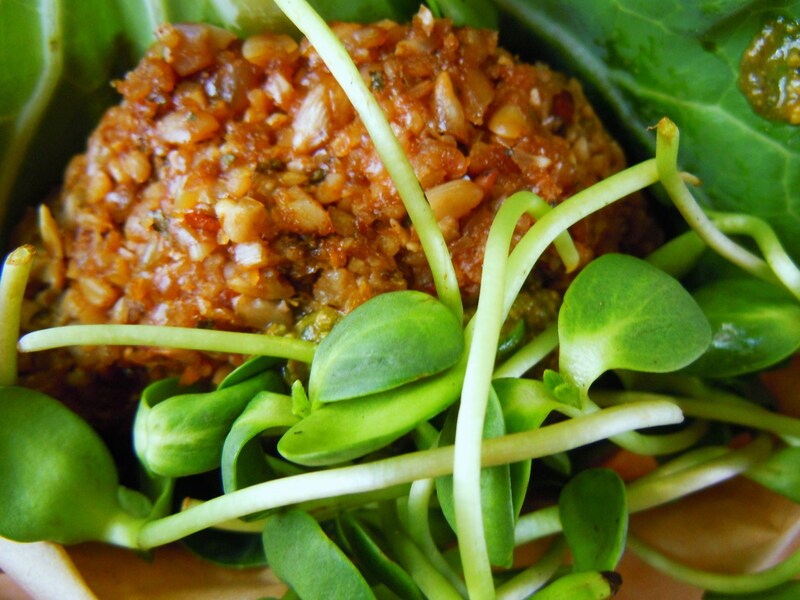 The smoothness comes from how well the ingredients are thoroughly incorporated throughout the burger patty and the slight crunch comes from the ground up sunflower seeds and almonds. It’s not crunchy like a potato chip. It’s more like if you were to grab a handful of rolled oats and stuffed them in your mouth. They’re smooth and flat so you’re not actually crunching on them persay, but you can feel that texture as you chew. THAT’s what eating the nut burgers are like, only with a million times more flavour. The ground almonds and sunflower seeds in the burger give it body and bite. The burgers are SO incredibly soft and moist (the moistest burger I’ve ever had!) and the flavour is phenomenal. It’s savoury without being salty, the pesto is creamy and heavenly, and the sunflower sprouts and collared green give it leafy crunch and a burst of garden freshness. The vegan nut burger finally in my hands! I love that my nut burger experience was so fantastic, but I’m in a really bad predicament now because all I want to do is go to every market that Earth & City are at so I can pick up another burger! Just think, you’re getting a burger that’s rich in protein, calcium, and fibre, AND it’s delicious beyond comprehension. I guess my obsession with these burgers isn’t the worst thing that could happen. 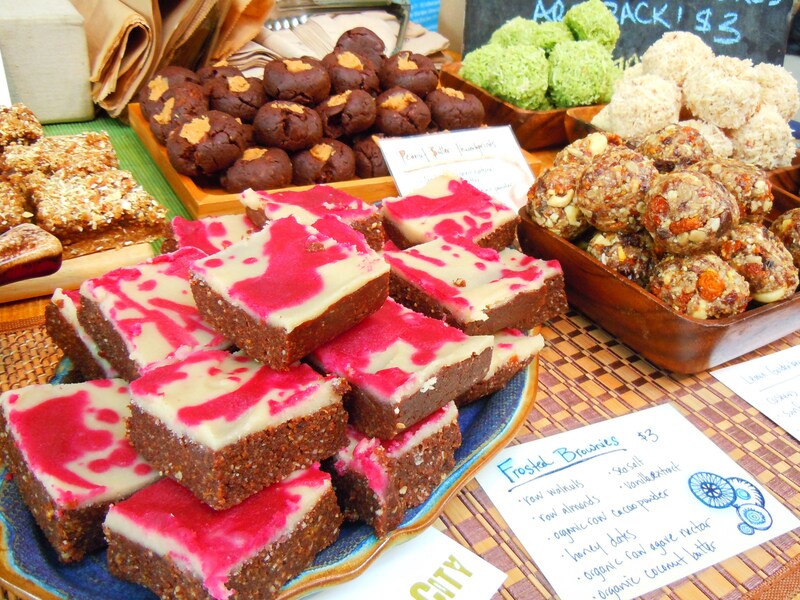 It leaves me naughty room in my diet and belly to gorge on their raw vegan brownies. 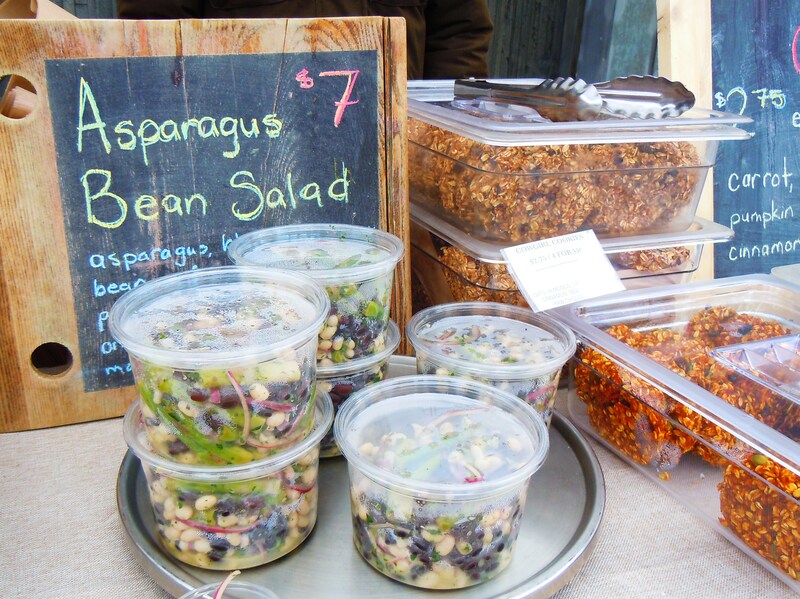 Earth & City is a local raw and vegan food business operating at farmers’ markets across Toronto year-round. 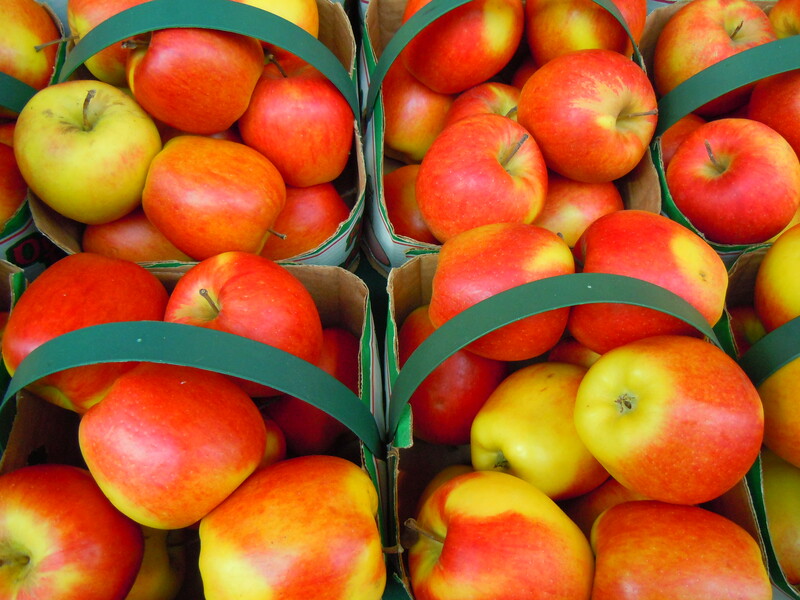 They are currently at 3 markets, with more during the late spring and summer months. 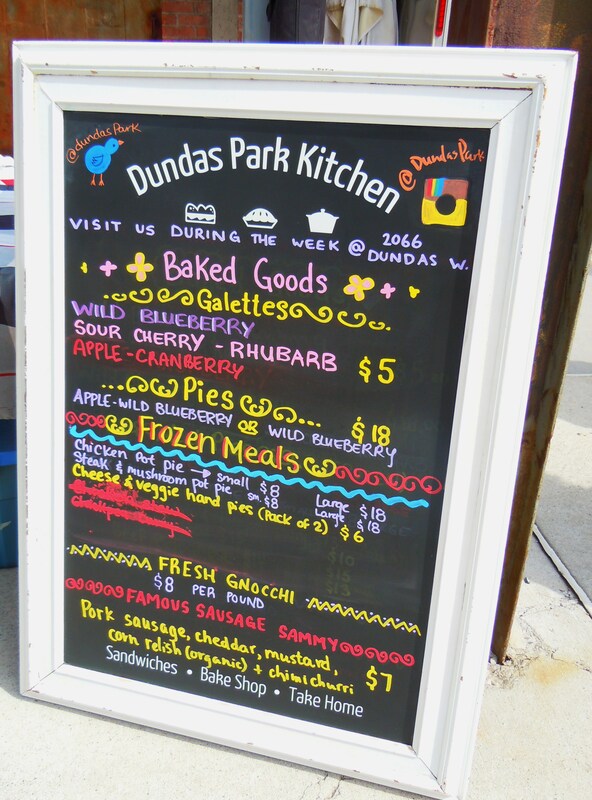 You can find them at the Centre for Social Innovation (Bathurst location at 720 Bathurst Street south of Bloor) on Tuesdays from 11:30am-1:30pm, the ING Direct Cafe (at Yonge & Shuter street just north of Queen Street) on Thursdays from 11:30am-1:30pm, and at The Stop market at Wychwood Barns (76 Wychwood Ave. near St. Clair Ave. West and Christie Street) on Saturdays from 8am-1pm. 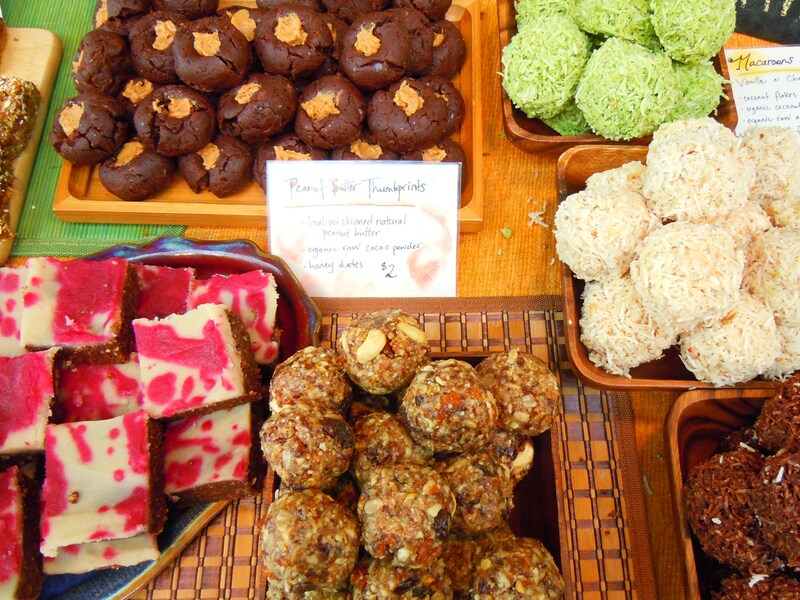 Earth & City’s Nut Burgers, Vegan Pizza, Brownies & Other Raw, Vegan Delights – Wychwood Farmer’s Market, Part III! After several months of Earth & City withdrawal, I got the chance to see Cassandra and Lisa again at Wychwood Barns this past Saturday, and just catching a glimpse of all their fresh and colourful food when I first went into the market made me so happy! 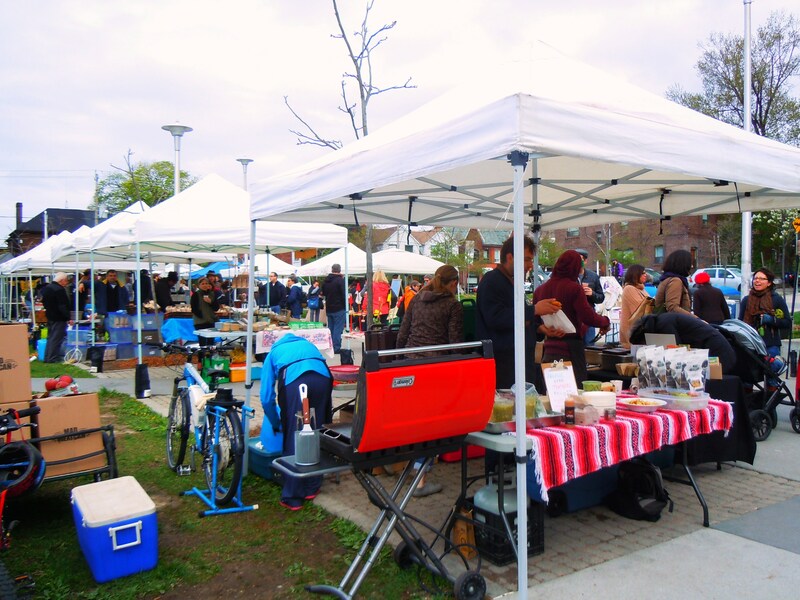 Before and during the holidays, Earth & City were all over Toronto: at the Sorauren farmers’ market, at both CSI Lunchtime Markets, at Kensington Market’s Pedestrian Sundays, and The Stop farmers’ market at Wychwood Barns. While Pedestrian Sundays bid farewell for the year last October and Earth & City’s presence at Sorauren continued up until December, their food has been flying off the tables everywhere else. Up until this point, I had only visited Cassandra and Lisa’s Earth & City at the Centre for Social Innovation locations and it had been months since my last trip. 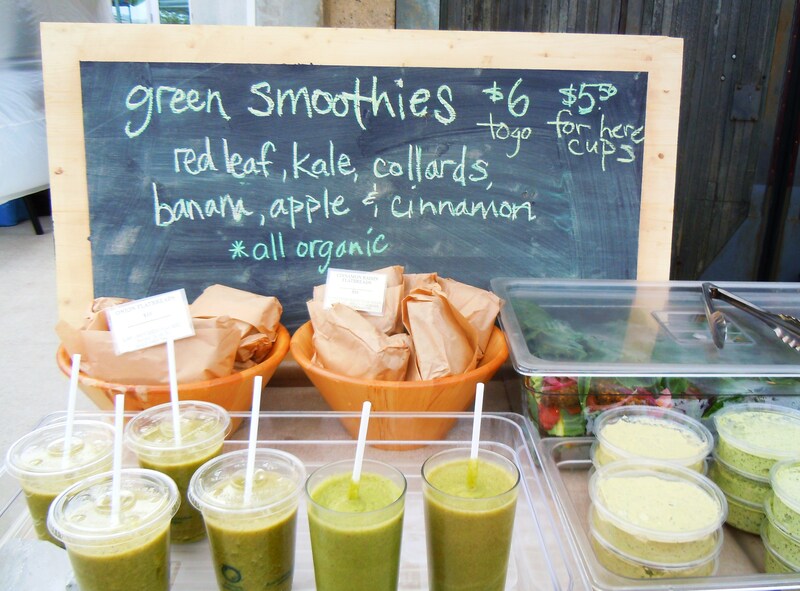 I was beyond excited to finally go to Wychwood’s saturday market and I was extra excited to get my Earth & City fix. Their raw vegan food has been nothing short of inspiring and delicious and I always look forward to seeing what the girls have in store each time I see them. 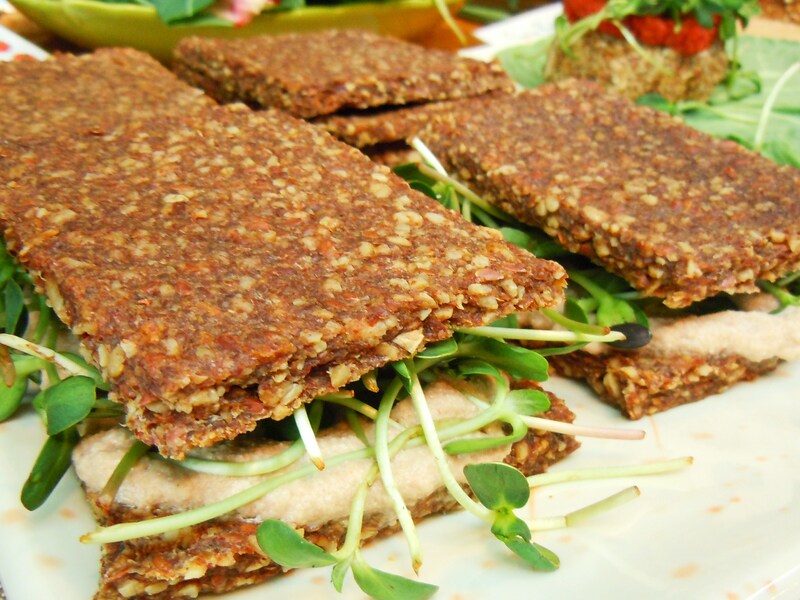 Using fresh vegetables, fruits, nuts, whole grains, and natural sweeteners, their mostly raw, vegan food is a throwback to traditional, classic non-vegan comfort foods like pizzas, burgers, taco wraps, brownies, and so much more. I feel so good supporting them and eating their food knowing they’ve put all their heart and effort into creating as many menu items as possible from scratch, from seasonal ingredients, and from products made by other local businesses like ChocoSol. 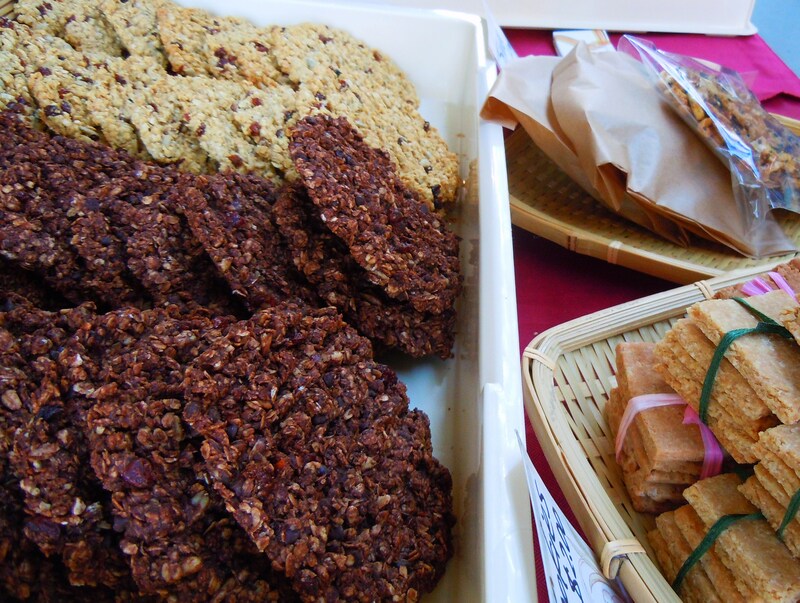 Earth & City had a number of favourites and staples on hand this past Saturday including their peanut butter thumbprints made from red-skinned natural peanut butter, raw cacao powder, and honey dates, and their spring roll wraps, coconut macaroons, and flatbread bundles and sandwiches. 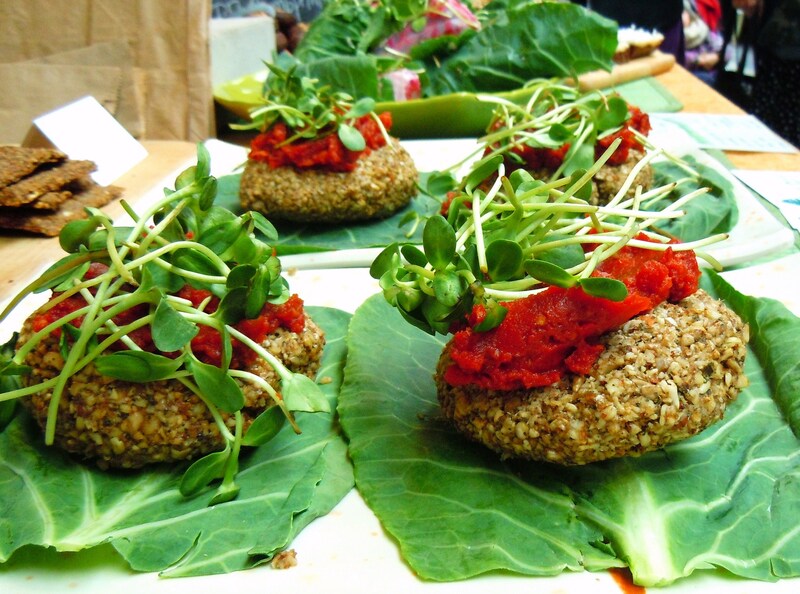 Along with these favourites, Earth & City brought the raw and vegan smackdown to the market with their sprouted veggie buckwheat pizzas and protein-rich nut burgers! Everything looked so delicious and amazing. 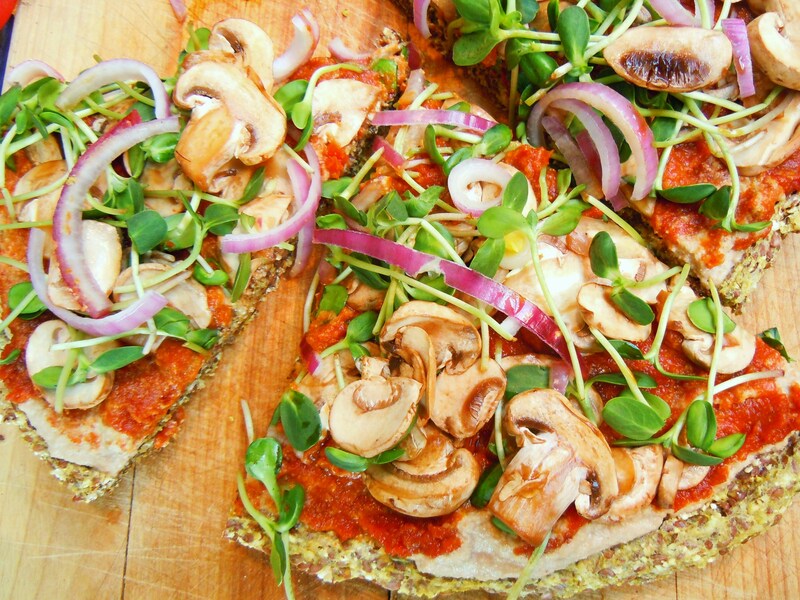 Their sprouted buckwheat pizzas, made with sprouted buckwheat (read this article to learn more about sprouted buckwheat and how to make yoru own), flax seed, and dried oregano and basil are dehydrated overnight* so that they’re ready to be topped and served. 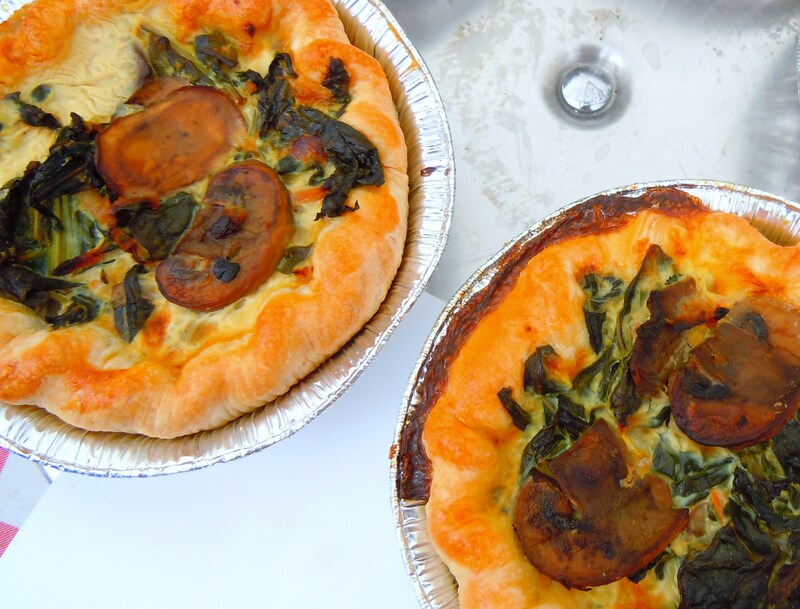 Their pizzas were covered in sundried tomato sauce, red onion, sunflower sprouts, and plenty of mushrooms. 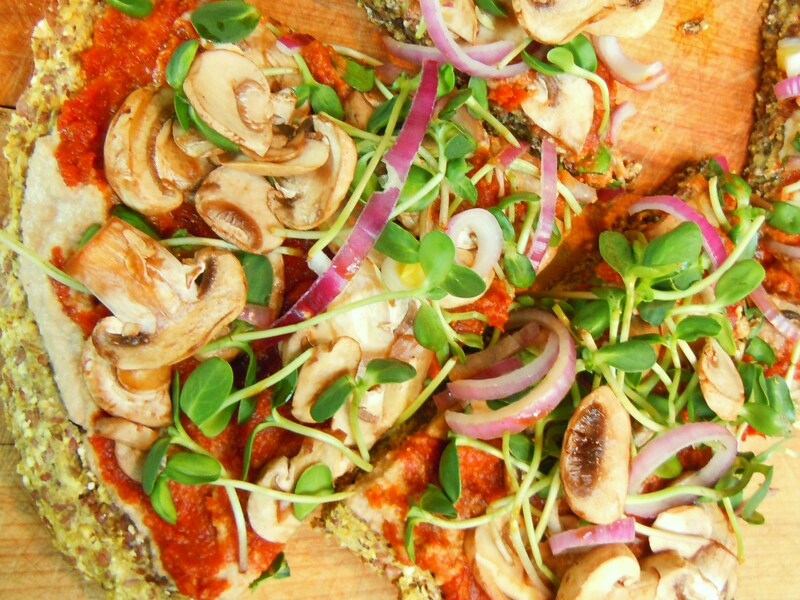 The perfect cheeseless, vegan pizza! 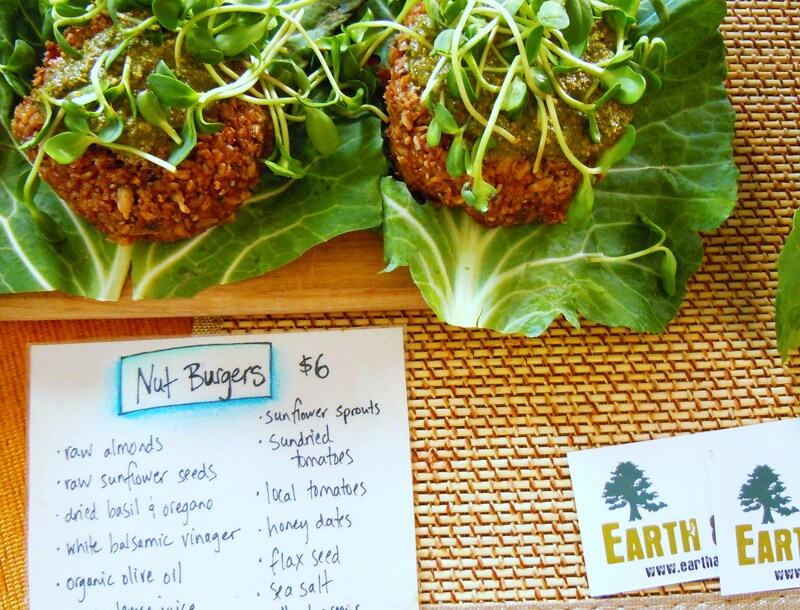 Next to the pizzas were Earth & City’s vegan nut burgers. They looked so cute and so scrumptious. The burgers are made with raw almonds, sunflower seeds, and flax seed and are mixed with dried herbs, olive oil, and white balsamic (take a look at this article to learn more about what white balsamic is and how it differs from dark or regular balsamic vinegar). 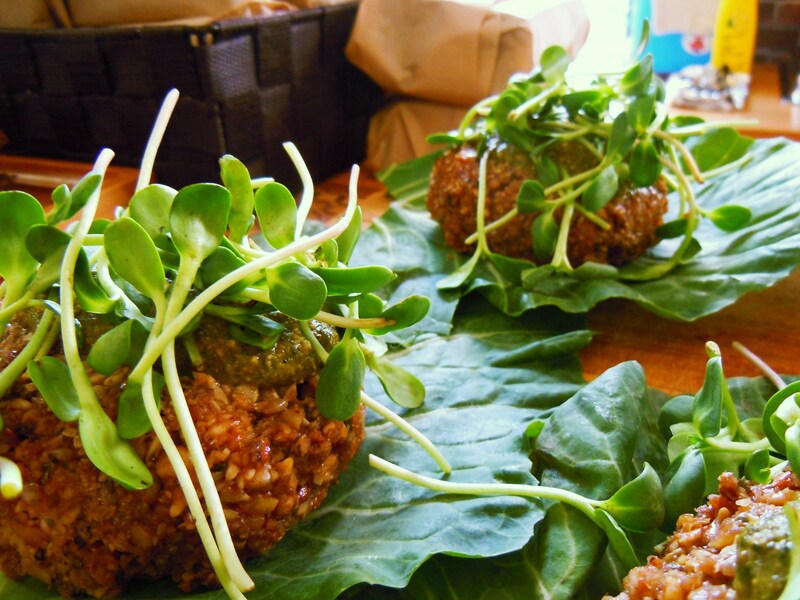 They are then shaped into patties that sit on a big, leafy collard green “bun”. Burgers are then topped with sundried tomato sauce and veggies! 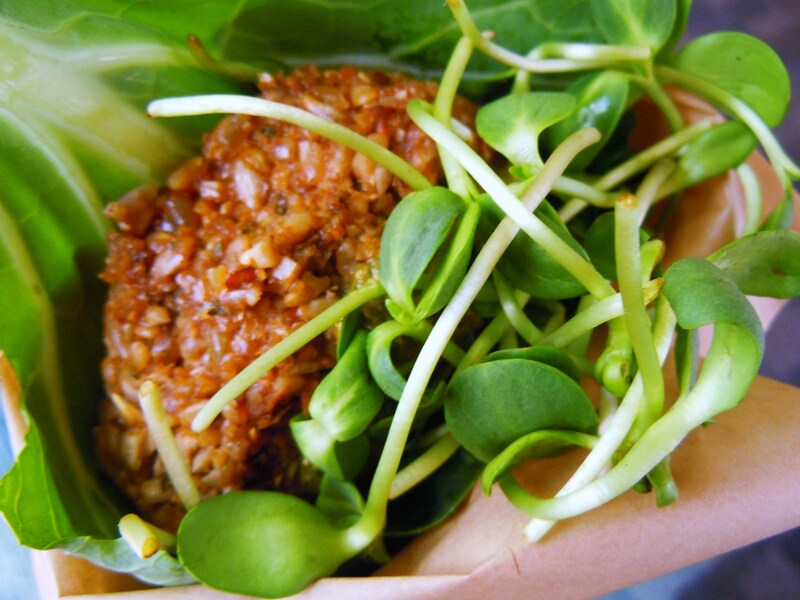 This time around, the burgers were piled high with lush green sunflower sprouts and they looked wonderful. I had already made plans to go out for veggie brunch with my friend Wini after the market so sadly, I didn’t pick up anything savoury to eat. Trust that I will get around to inhaling everything Earth & City has to offer though. I did, however, take away one of their ultra fabulous frosted vegan brownies to save for the ride home at the end of my day and if vegan heaven existed (which I’m sure many of my veg friends will attest there is), I certainly went there via this brownie. The brownies are made with raw, crushed walnuts and almonds, honey dates, organic raw cacao powder, and sweetened with organic raw agave nectar. The brownies are then frosted with organic coconut butter mixed with vanilla extract and fruit and/or veggie juice flavouring. This brownie is what sweet dreams are made of. It was a dense, moist, ridiculously creamy and flavourful explosion of chocolate and coconut with the slightly grainy texture of crushed nuts throughout. I am a coconut fiend and I was hit with the most glorious combination of cocout, cacao, and nuts. Chocolate and coconut is one of those underrated sweet combinations. Mint chocolate and chocolate peanut butter get so much love and this brownie is an ode (and a kick in the pants to the other two) to the heights that raw chocolate and coconut butter can take us. It was so rich and naturally sweet and just divine. This was one very wonderful, memorable farmers’ market experience and now that I’ve been to Wychwood once, I’m never going to want to stop going, ever. 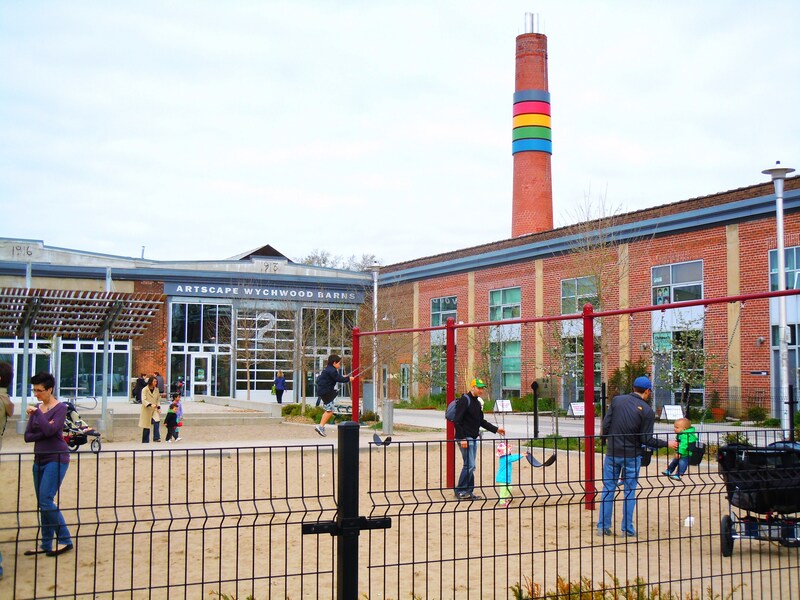 Earth and City appear at several farmers’ markets in the city (most notably the market at Wychwood Barns on Saturday and the CSI Lunchtime markets), as well as Pedestrian Sundays at Kensington Market. 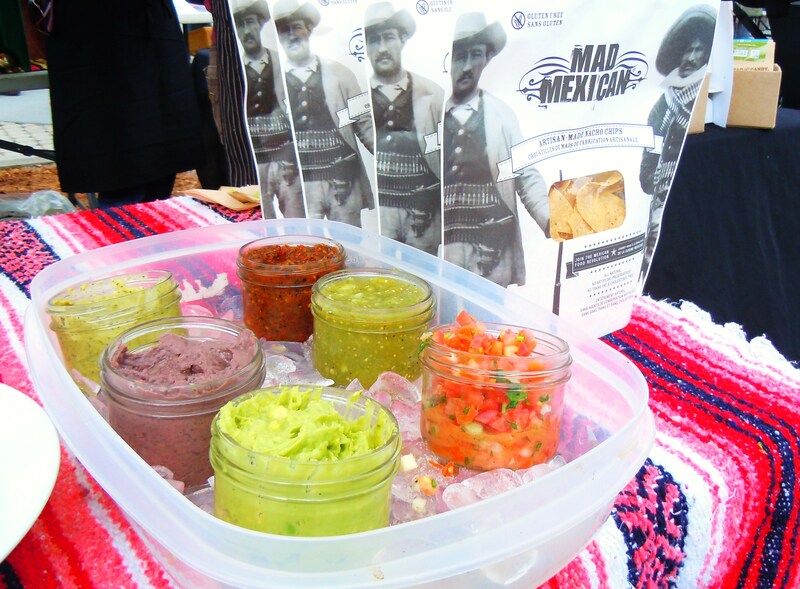 They do catering and orders, so visit their site and blog here for more information on their food, mission, and menu.